THIS PAGE IS BEING REDESIGNED AND REIMPLEMENTED FOR THE 2013 WESTERN WILDFIRE SEASON. SOME FEATURES AND LINKS MAY BE BROKEN IN THE MEANTIME. WE APOLOGIZE FOR THE INCONVENENCE. location used for tailored products. See below for tool description, attributes, and other details. 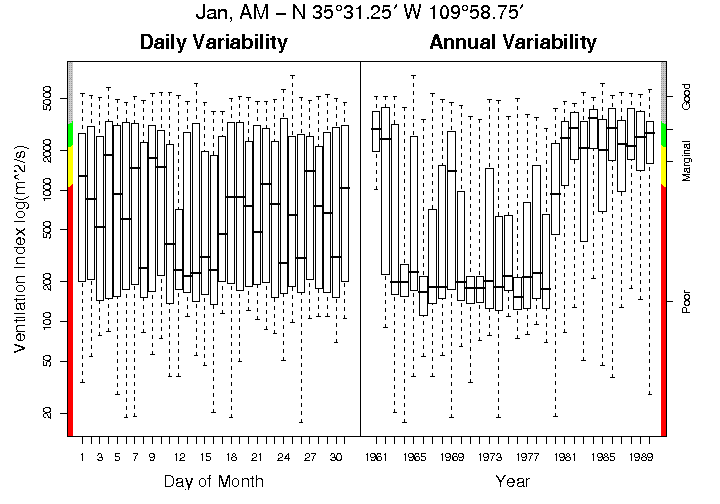 Analysis of historic RAWS data for the nearest site to your fire location showing day and night patterns that determine potential night-time drainage of smoke. 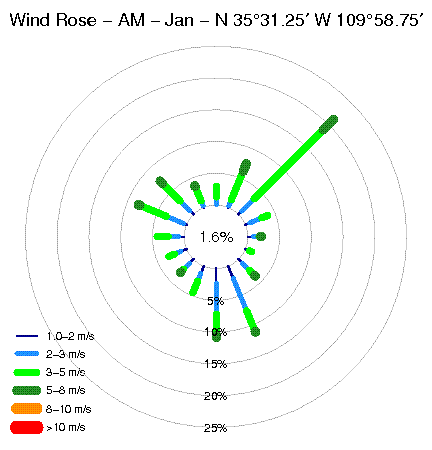 Analysis of historic model interpolated data showing day and night wind patterns, mixing heights, and ventilation index. Can be used in determining the potential for night-time drainage of smoke.